The goal of the Tennessee Parenting Project was to assess whether identifying parents with visitation problems in the child support caseload and providing services aimed at resolving them improves parent-child contact and the subsequent payment of child support. 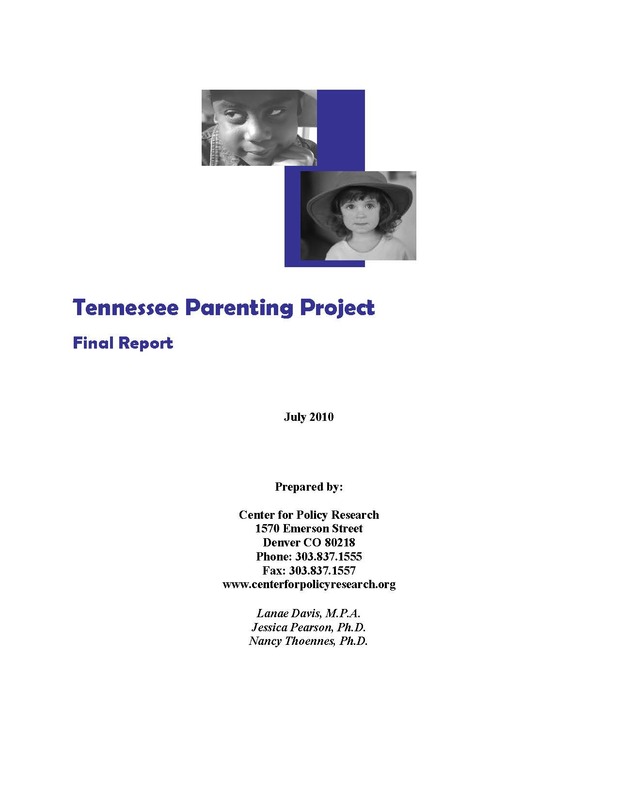 The project was conducted in child support offices and juvenile courts in three jurisdictions: Nashville (20th Judicial District – Davidson County); Chattanooga (11th Judicial District – Hamilton County) and the cities of Jackson, Lexington and Henderson (26th Judicial District – Madison, Henderson and Chester Counties). One full-time parenting coordinator and one part-time pro se specialist were placed in each of the three jurisdictions, respectively. Parents were assigned to different groups for treatments of varying intensity based on the last digit of the noncustodial parent’s child support case number. The 583 parents in the low-level treatment group were given or mailed printed information about parenting time problems and various community resources including free classes on how to pursue legal filings dealing with visitation on a self-represented basis. The 1,591 parents in the high-level treatment group were contacted by the parenting coordinator and offered the opportunity to participate in a free, facilitated meeting with the other parent to complete a fill-in-the-blanks parenting plan that spells out when the children will spend time with each parent. Those who were unable to produce a plan were referred to the pro se specialist at the court for help with filing court papers on visitation and/or to attend a free class on how to pursue legal filings on a self-represented basis.